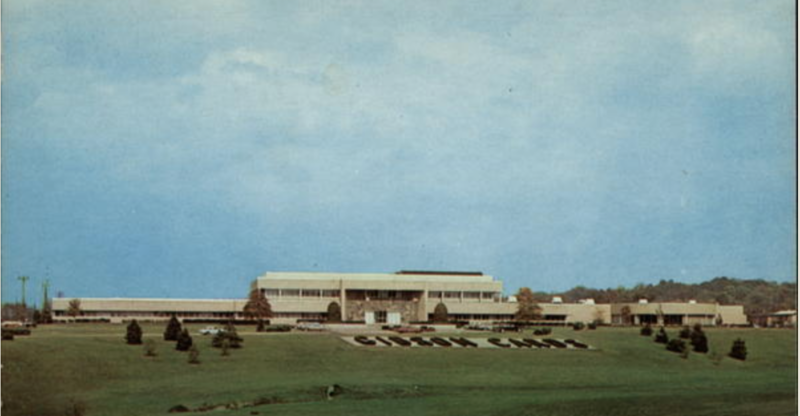 You have probably driven by the Gibson Greetings building on Section Rd. in Amberley Village a hundred times, and maybe even wondered what is inside. Thanks to former Gibson employee and cf3 member Rick Kay, Amberley Village manager Scot Lahrmer, and building owner Howard Jackson, this is your (first and) last chance to see this iconic 1957 building before it comes down. We have no idea what the current state of the building is. Rick last saw it in 1997, and there were some pretty cool midcentury areas still intact at that time. 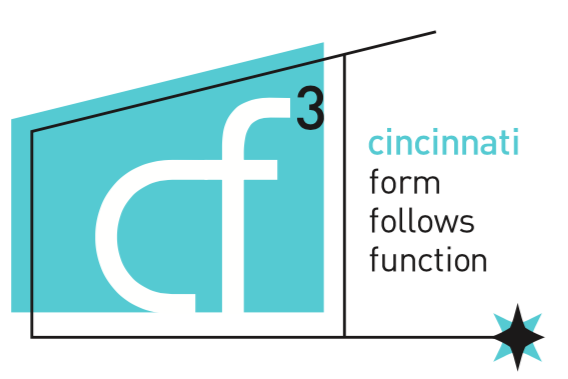 So rather than a tour of what is there, this more of a “….let’s see what we find” kind of adventure for cf3 members. Saturday, June 11 at 10:00 a.m sharp (no stragglers)! The group size is limited to 25 (+/-) and will probably be broken down into two groups depending on how many sign up. Howard Jackson, one of the owners will guide us through the building. The tour is limited to 1 hour. Gibson Greetings was formed in 1895 as the Gibson Art Co., with headquarters in downtown Cincinnati. Expanding business lead to the ‘new’ world headquarters in Amberley Vilage, a half million sq ft. campus on 114 acres which opened in 1957. By 1960 the company was known as Gibson Greeting Cards, Inc., and changed again to Gibson Greetings, Inc. in 1983. After a series of business setbacks, the company was acquired by American Greetings in 1999. Since that time, portions of the large building have been used by different companies including Cincinnati based bath products manufacturer Saturday Knight Ltd, which recently relocated to Spring Grove Village. The building and its current 54 acres was recently sold to the Port of Cincinnati Development Authority. It will be redeveloped and placed among the largest "shovel-ready" sites that can be marketed to companies and site-selection consultants. The port estimates the site could house a 660,000-square-foot manufacturing building featuring businesses that could employ up to 990 people. Once the redevelopment is complete, the port would plan to sell the property. Looking forward to seeing you at this farewell to a piece of Cincinnati history.